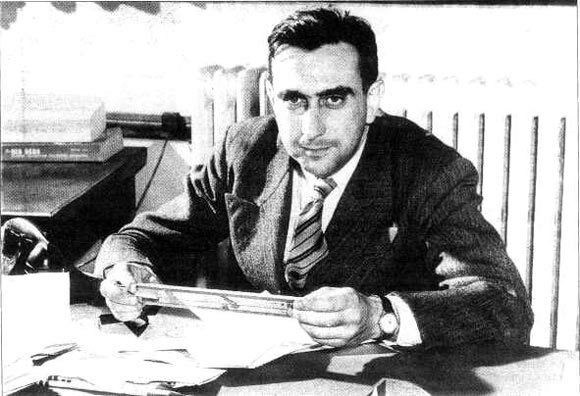 Edward Teller, an American writer and physicist, was born on January 15, 1908. He belonged to an influential Jewish family of Budapest. He took his early education from a school in the same district and then left his hometown and moved to Germany in 1926 where he graduated as a chemical engineer from the University of Kalsruhe. He completed his PhD in physics at the age of 22 in 1930 from university of Leipzig. During his time in Munich, he had an accident which left him for a lifetime of slight limp. Before leaving Germany in 1934 he spent two years in the University of Göttingen to study the molecular state of matter. In 1935, he moved to the United States of America and worked there as a Professor at the George Washington University. He worked and delivered facts about nuclear physics, molecules and fields of quantum. In 1941, he received the US Citizenship after which his interest towards nuclear power and energy grew. This was the time when the physicists in the leading countries of that time were working on splitting the atoms and learning about the energy that is released. Teller, a year later in 1942, was invited to attend a seminar in Berkeley. It was the same summer program in which he headed a group in 1943 in the theoretical physics division. This was better known as the Manhattan Project. During this time he decided to opt for a thermal nuclear bomb and work on it. His studies and literature related to the nuclear bomb stated that this can be chaotic for the world’s environment. In 1946 when the first ever nuclear bomb was tested, Teller tried to get his hands on a program to build a Hydrogen bomb, a thermonuclear weapon. His continuous efforts upshots in face of a hydrogen bomb design but his efforts were overdriven and the project was given to someone else. This obstructed him so bad that he left Los Alamos and joined a rival nuclear weapon lab in California. Edward Teller considered Oppenheimer a security risk and he lost his security clearance check. This event gave rise to the one of the bitterest dispute in the records. He tried to say something else but his words exploded on him bad. This incident changed teller’s entire life. He placed himself in a voluntary exile from the physics world and moved to Chicago where he served as a professor. Later he took the position of the Director Lawrence Livermore Laboratory for a good tenure of 15 years. He served there till his death on September 9, 2013. This Hungarian born physicist in his 95 years of life received a number of awards and titles including the Presidential Medal of Freedom, Einstein Award and Medal of Science of Physical Science. Other than that, some of his famous publications were his scientific research paper where he talked about war and peace and his eminent books.